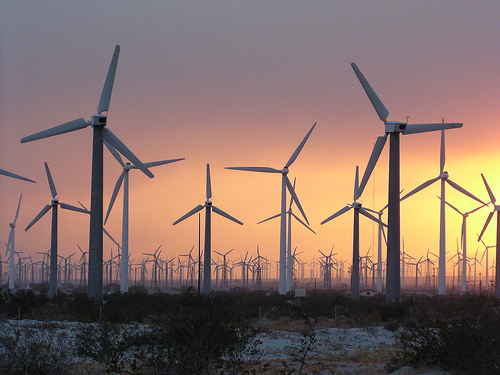 Wind farms warming and tilting at windmills. A limerick – Len Bilén's blog, a blog about faith, politics and the environment. Satellite data over a large area in Texas, that is now covered by four of the world’s largest wind farms, found that over a decade the local temperature went up by almost 1 degreeC as more turbines are built. This could have long term effects on wildlife living in the immediate areas of larger wind farms. It could also affect regional weather patterns as warmer areas affect the formation of cloud and even wind speeds. All the wind farms are warming the earth; this we know. Electricity gained? Not a whole lot to show. heat the earth by degrees. Their quixotic pursuit has been dealt a big blow. Previous Previous post: Obama’s call to get Osama was anything but gutsy. A Limerick. Next Next post: Forecast of drought in Britain brings record April showers. Time to change climate models?